With the temps hovering at 95 in Boston (Weather.com called for a high of 93. Liars! 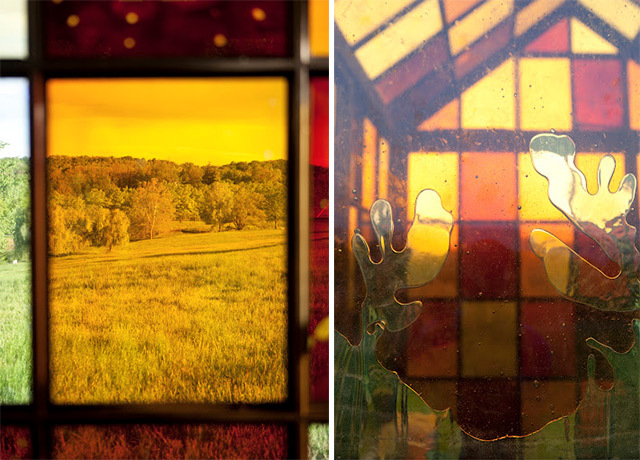 ), no place sounds less appealing to me right now than a solarium. But if I must swelter in the sun, let it at least be sweet. 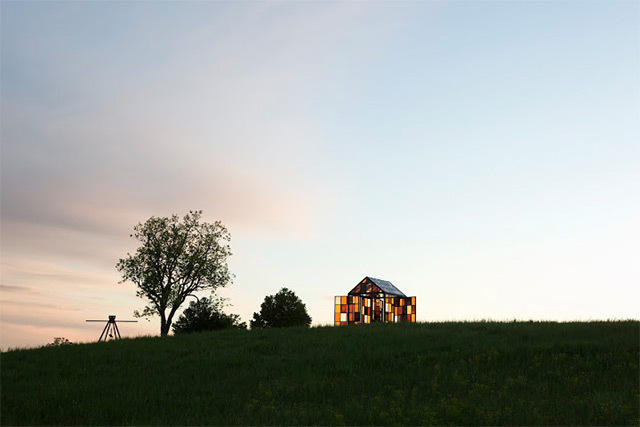 Artist William Lamson's hilltop solarium at the Storm King Art Center in New York is constructed of 162 panels of caramelized sugar, each set in a steel frame and sealed between two panes of window glass. 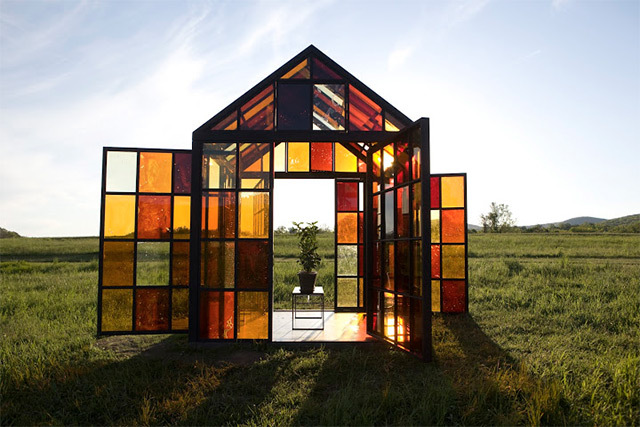 Lamson achieved the wonderful multi-hued effect by cooking the sugar at varying temperatures and spent weeks testing methods for building the windows. 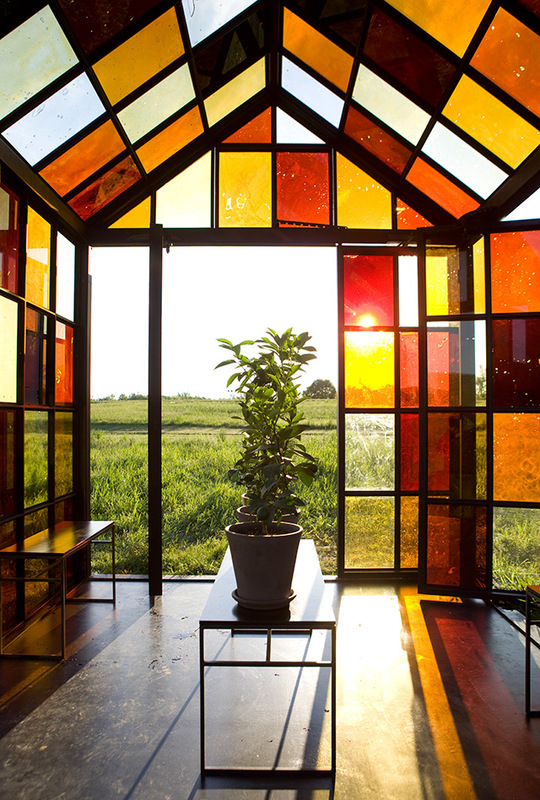 The result is both a functional greenhouse, growing three species of citrus trees, and a meditative environment, says the artist. I imagine it also does a bang-up job as a sweat lodge on days like today. Stay cool out there, and don't forget to enter to win a custom clutch from Sew Sarah R here! So beautiful. I wonder how it holds up to the weather. beeeeeaaaautiful! i'm so fascinated by his process! i mean, who would even think to do this and believe it would be sustainable? 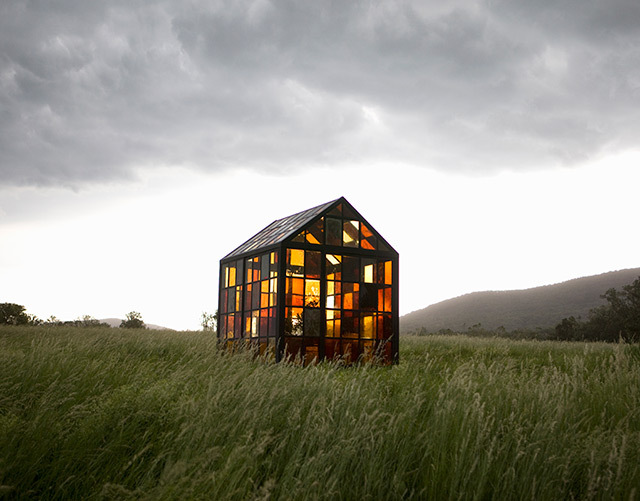 Sustainable design at its sweetest:-). Love this concept!